* Combine the EMF adapter & the DIGITAL MULTIMETER ( set to DC 200 mV range ), it can be used a precision EMF METER. * The EMF adapter is designed to provide user a quick, reliable and easy way to measure electromagnetic field radiation levels around power lines, home appliances and industrial devices. 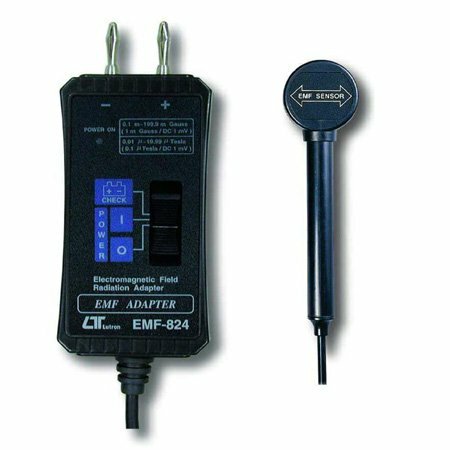 * The EMF adapter is a cost effective, hand-held instrument designed and calibrated to measure electromagnetic field radiation at different bandwidths down to 50 Hz/60 Hz. Use separate probe, easy to operate.